BarkingWife Blog: Like BarkingWife.com for a Good Cause! When we originally started brainstorming what we wanted www.BarkingWife.com to be, the number one theme was that it had to support women. Because we have been so blessed in our own lives both personally and professionally, we have decided to give back to support another mom who is having her own struggles. Here’s the deal! For every new fan that we get on our FaceBook page BarkingWife.com, we’ll give $1.00 to this very deserving family. Our goal is to reach 500 fans by February 14. 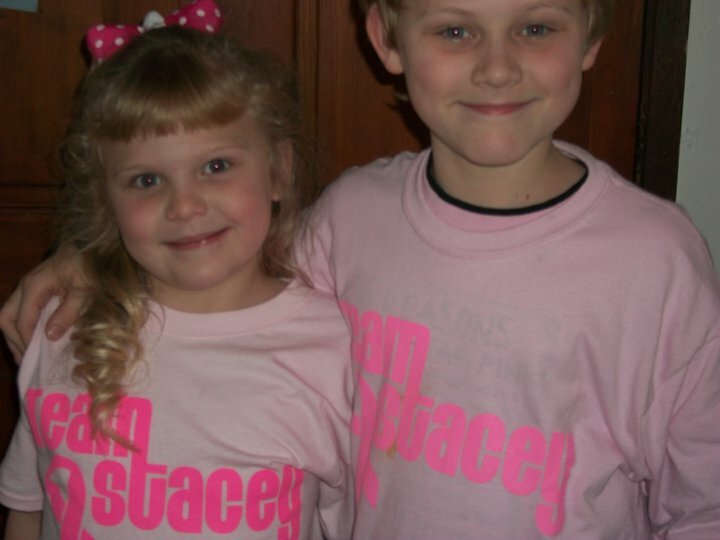 We also want to raise awareness of this family and the rare disease that changed their lives. Please share Kayla’s story. It’s such a great cause. Back in the 80’s, I went to Spring Branch High School in Houston, Texas. Most of my high school girlfriends and I had plans to go to college, followed by getting a great job, and a few years after that a walk down marriage lane which would probably lead to a child or two. That was our vision of “happily ever after”. We didn’t expect the tough times that might come, or the ups and downs that life lays at your feet. And none of us expected to have a child with a non-curable disease. But one of us did. My friend, Karen and her husband welcomed their second child, a sweet healthy baby girl in January 2003. They named her Kayla. A few years later she started to get very sick. By the time she was school age, she would come home with horrible splitting headaches, and have extreme vomiting episodes. One hospitalization followed by another and then another. The medical bills became an endless stack. Karen had to quit her job to take care of Kayla. Less than a year ago, she was finally given a diagnosis. Kayla has a rare genetic disease called Dysautonomia that is a central nervous system disease that causes the central nervous system to malfunction. Basically, anything that the central nervous system controls can be attacked at any time. 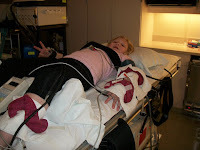 Right now, Kayla’s main problem is that she gets extreme fluid pressure build up in her spinal column and brain. Every six to eight weeks Kayla has to have a lumbar puncture to drain spinal fluid and relieve the pressure that causes her to have migrain headaches, vomitting, epilepsy and permanent short term memory loss. Kayla’s dysautonomia has also attacked and destroyed her body’s ability to regulate its own temperature (called Thermal Dysregulation). This means that Kayla can’t be where it is hot or cold because her body does not have the ability to adapt. So essentially, she has to stay inside. Last night I looked at my own child as he slept peacefully and thought about what it would be like if he had an incurable illness like Kayla’s. I thought of the desperation, frustration, and fear that I would feel as a mother. 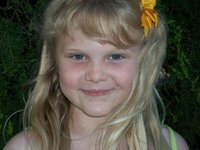 I wondered how many times Kayla’s mom must have prayed for answers, and how many times she must have asked, “why my child”. I just couldn’t imagine. But now there is hope. Our goal is raise $500.00 for Kayla and her family to help offset some of their bills. Here’s what you can do to help. Please pass Kayla’s story along, and ask your friends on FaceBook to like BarkingWife.com. At the bottom of this page, you can click on “like” next to the FaceBook icon. Another way, you can like BarkingWife.com is by searching on FaceBook for "BarkingWife.com." Another suggestion would be to share this post on your FaceBook profile page. For every new fan that we get by February 14, we’ll donate $1.00 to this family. You can also become a fan of Kayla’s Fan page by searching for “Kayla Strong Benefit.” What a simple and great way to give back!